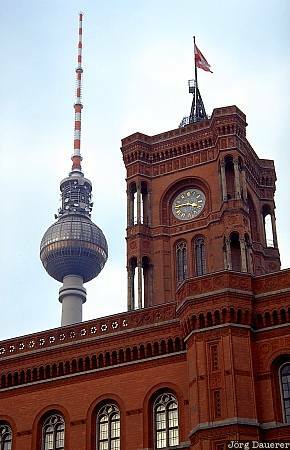 Cityhall (Rotes Rathaus) of Berlin, the capital of Germany and Funkturm in the background. It is located in former east-Berlin. This photo was taken on a rainy day in February of 2001.